It’s hard enough to understand America’s healthcare system without the mainstream news media abandoning a helpful role and instead using the issue to advance its own partisan political agendas. Healthcare is so important and yet the news media and both political parties are twisting facts to spin support one way or the other. It wasn’t always this way. There used to be a time when you could turn to the mainstream news media to understand what was really happening in the world, or learn about important issues. Well, that’s changed. And you can’t blame it all on the Internet. The mainstream news media has become a partisan political party. Instead of getting “facts” from the news media, we get their anger and their political spin. A good example of this confusion from major media like the New York Times, Washington Post, Huffington Post involves healthcare. If you listen to the media, most predict doom and gloom, blaming President Donald Trump and the Republican Party for stripping healthcare from grandma. Their hysterical attacks fuel exaggerated concerns and fears, because, as we know, the major mainstream media sells fear. The truth is all of the healthcare plans, from President Obama to Trump are complicated and difficult to understand for the average person. 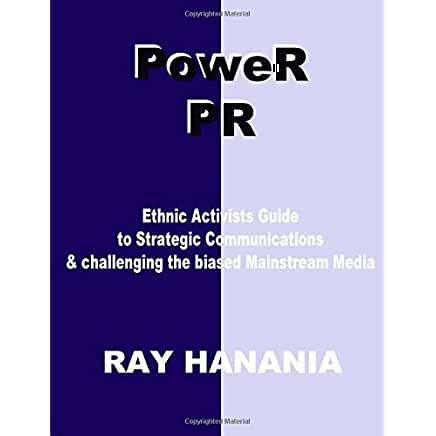 The purpose of a good news media is to have people, “objective reporters,” to explain things in a clear, concise and educated manner; not take advantage of the difficulties to spin partisan political agendas as they are doing today. There is, thankfully, one place where you can get the facts, minus the biased, distorted and often inaccurate political media spin. The Congressional Budget Office which analyzes everything based on numbers. They don’t care who sponsors it, Republicans, Democrats, or morons. The CBO gives you the fundamentals, but you still have to do your own thinking. The GOP Healthcare plan does cut back on Medicaid funding, but not in the way the major media wants you to believe. The Affordable Care Act (ObamaCare) dramatically increased government funding of Medicaid. It didn’t come from a Money Tree in the Sky. It came from you and me. That’s what President Obama, the beloved darling of the media, was good at. He took money from the wealthy, really mostly the Middle Class, and gave it to the poor, living in subsidized urban areas like much of Chicago. What the Republicans did was strip all that increased funding, eliminating all of Obama increases. It isn’t exact so spending in some areas is still higher while while others are even lower than before ObamaCare. Because it is so complicated, the major mainstream news media, including types like Robin Roberts on Good Morning America, exploits our ignorance and the complexities of the issues to say whatever they want. Instead of explaining hard-to-understand issues, the biased media uses it to attack Trump and the Republicans, claiming they “hate” the poor and are stripping Grandma of her healthcare benefits. Another issue being twisted and distorted by the lying mainstream news media is the claim that Republicans have excluded members of Congress from the changes, arguing that they are getting far more than the average Schmoe on the street. It’s true that the Republican healthcare changes don’t impact members of Congress. The media should point out, though, there is a law that basically says one committee can’t pass legislation impacting congressional members without getting a “super majority” to review it. The Republicans have taken the route – that Democrats have taken before too – to have their healthcare bill passed by a “simple majority.” As a result, it can’t apply to members of Congress. What the media is playing down, though, is that they also introduced a separate bill that does require a “super majority” vote to require than if their healthcare bill is passed, it MUST apply to members of Congress. Oh, and the Democrats did that, too. A political procedure common in the Washington beltway. I am not saying the GOP healthcare plan or the Obama plans are perfect. Both do have problems. I AM SAYING the major mainstream news media is not giving us the facts. They are playing politics, too. THIS POST HAS BEEN READ 6808 TIMES SO FAR. THANK YOU!